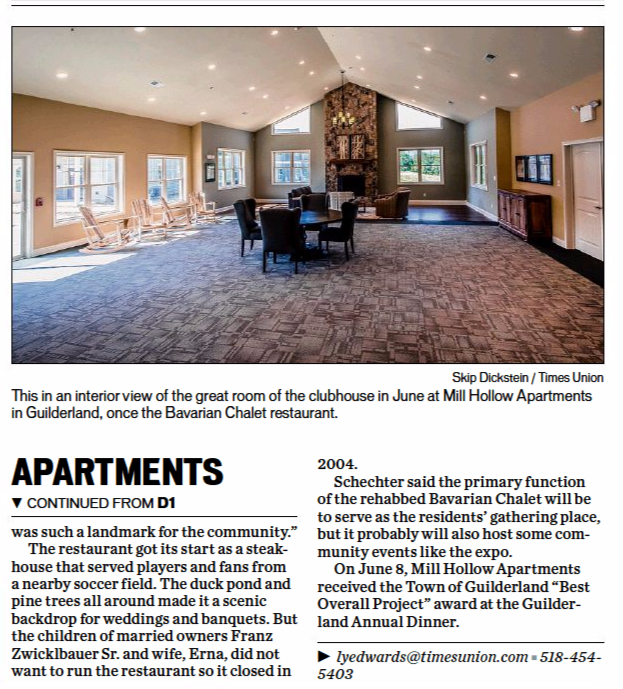 Thank you to the Times Union for letting your readers know about our upcoming event at Mill Hollow Apartments in Guilderland! On October 21st, we’ll hold a ribbon-cutting ceremony commemorating the completion of phase one of the project followed by a small business expo organized by the Guilderland Chamber of Commerce. To read the full article, click on the image below to go to the Times Union‘s website. 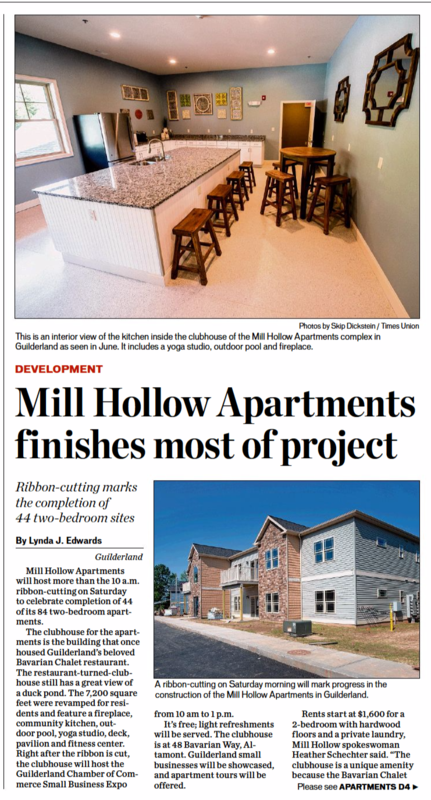 For more information on Mill Hollow Apartments, please visit www.MillHollowApartments.com.